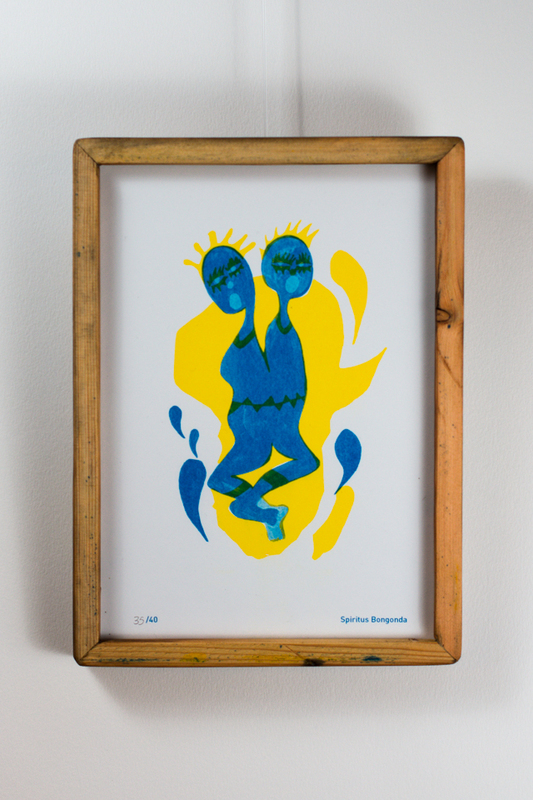 To celebrate 40 years of Vrijzinnig Centrum Geuzenhuis Gent, Topo Copy teamed up with HOUTD & KapOw to make RISOGRAFIA #3; a new series of risograph prints with designs from 40 national and international artists. Each print was pulled through our beloved Risograph duplicator twice. 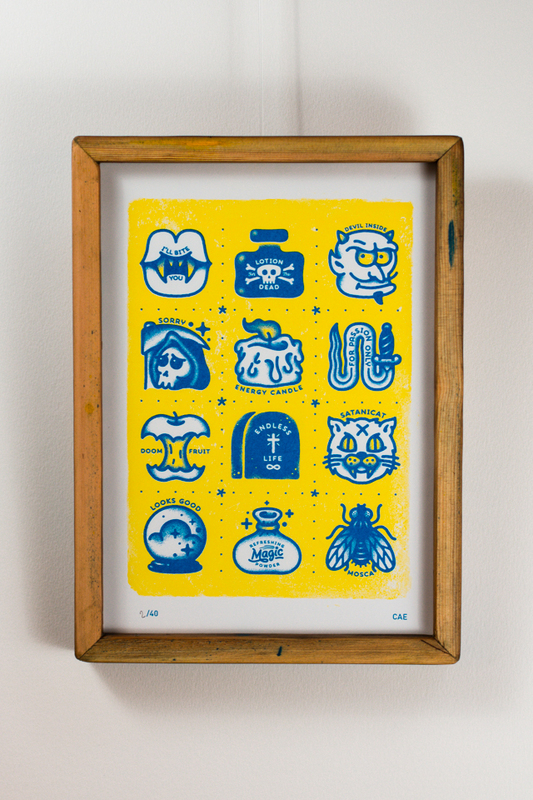 Once for blue and once for yellow (soy based) ink. 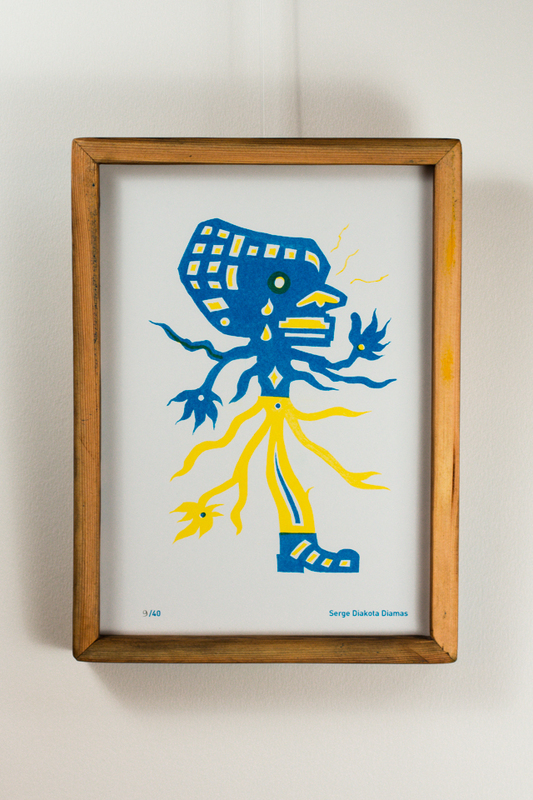 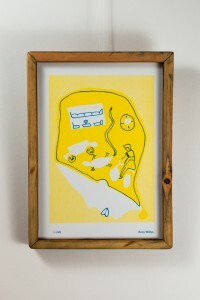 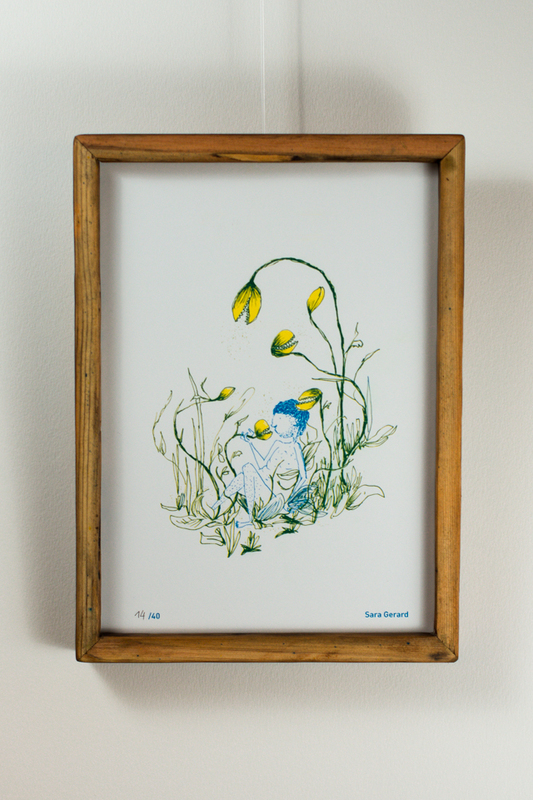 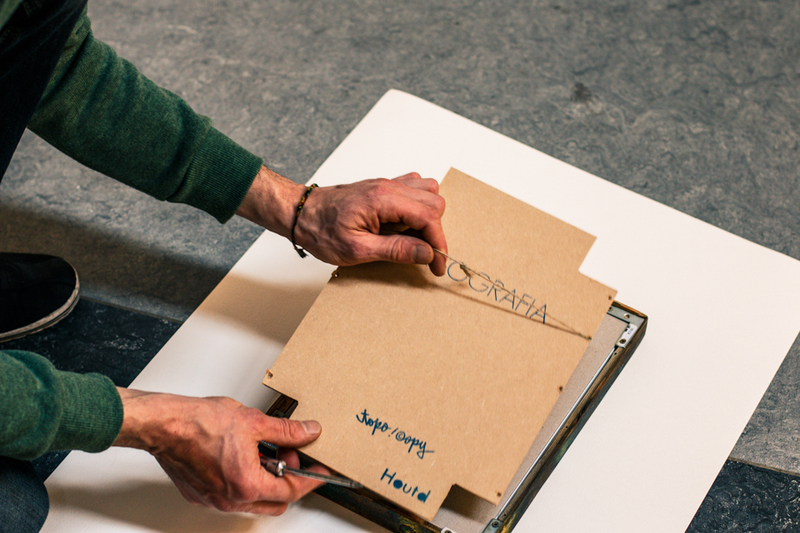 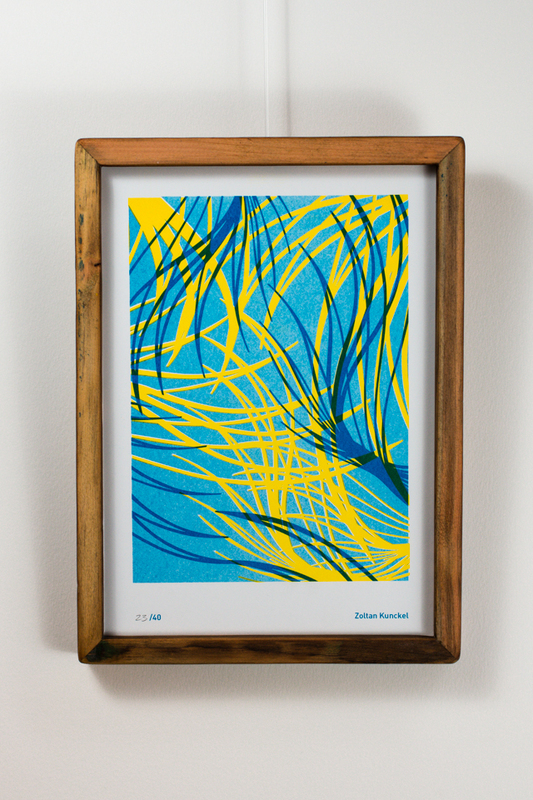 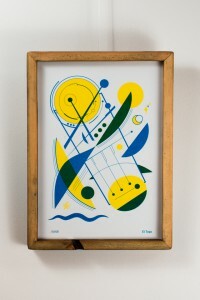 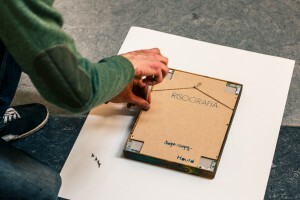 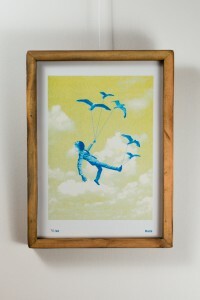 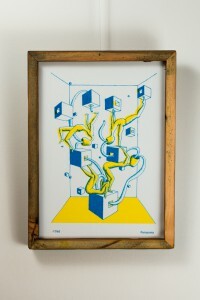 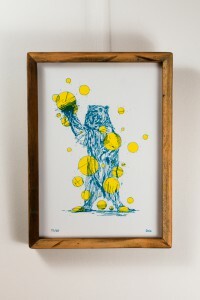 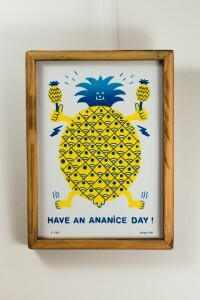 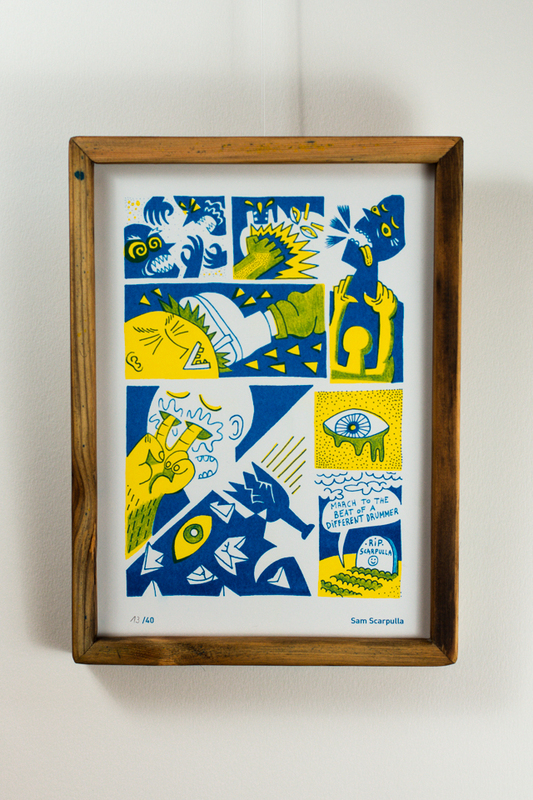 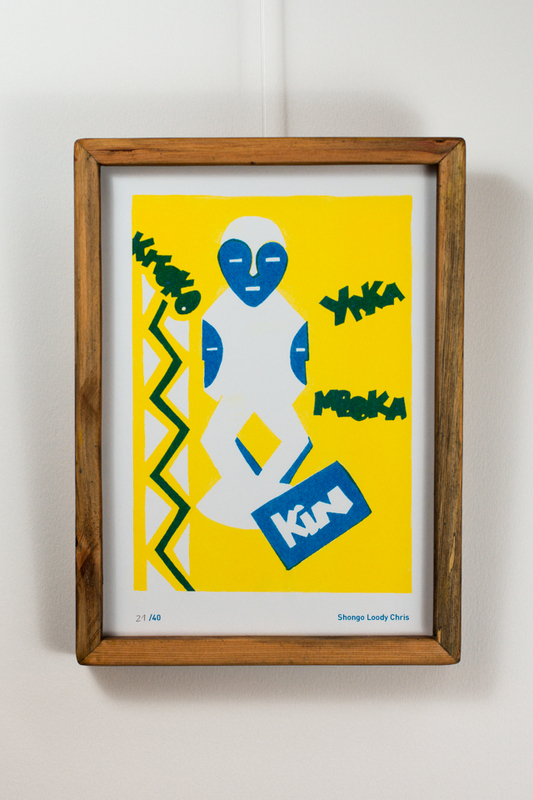 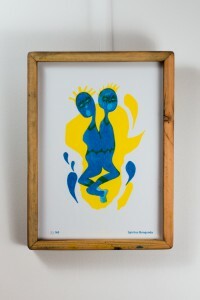 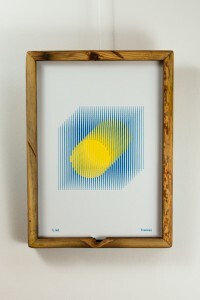 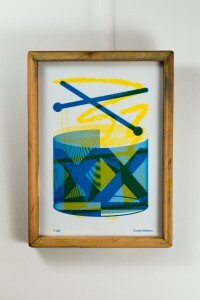 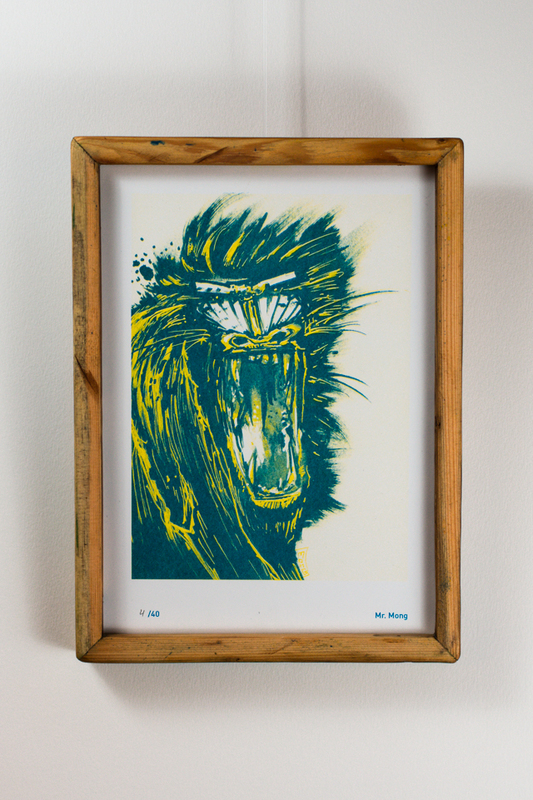 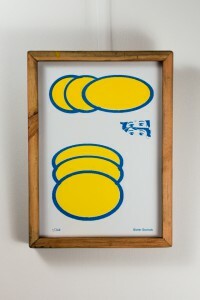 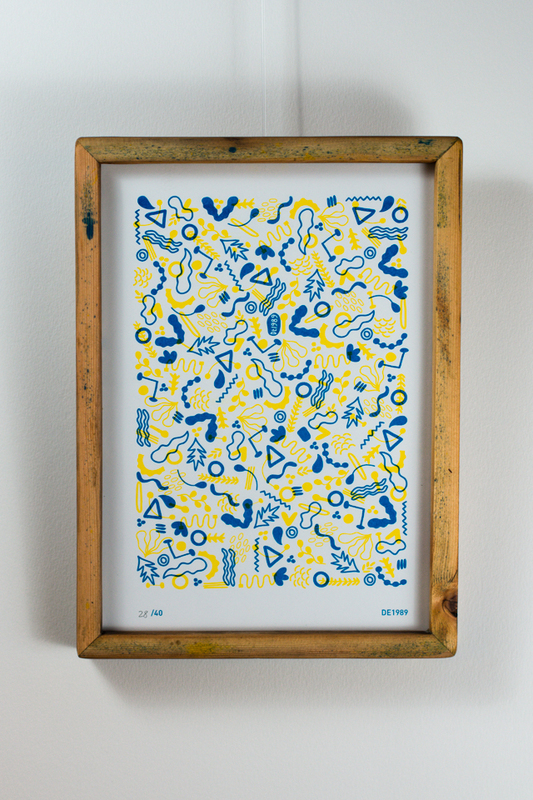 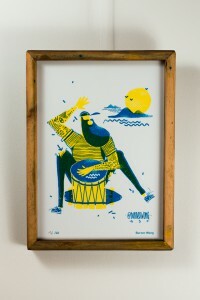 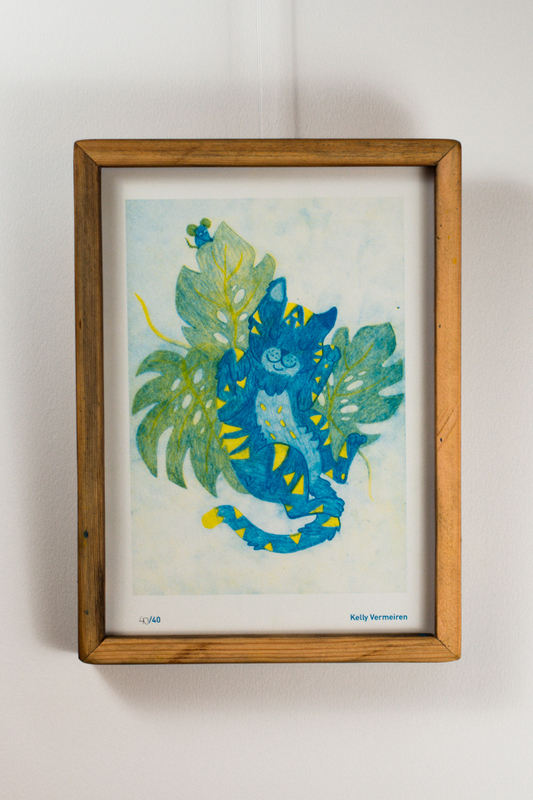 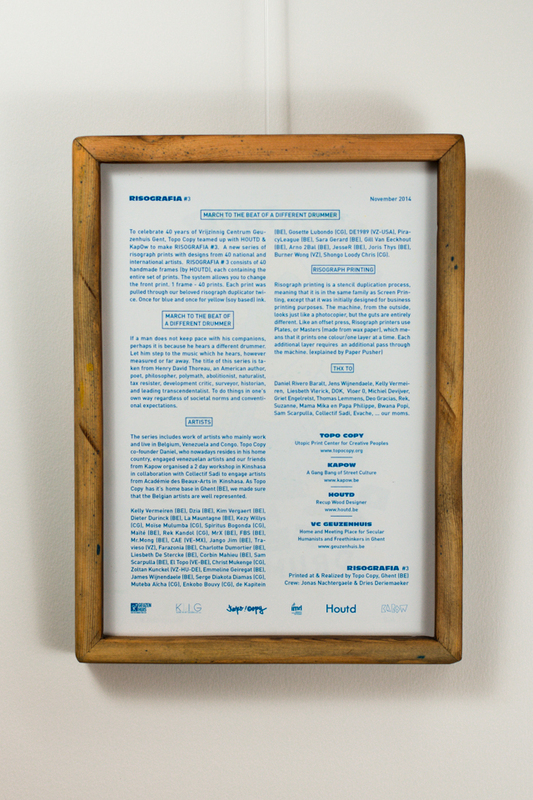 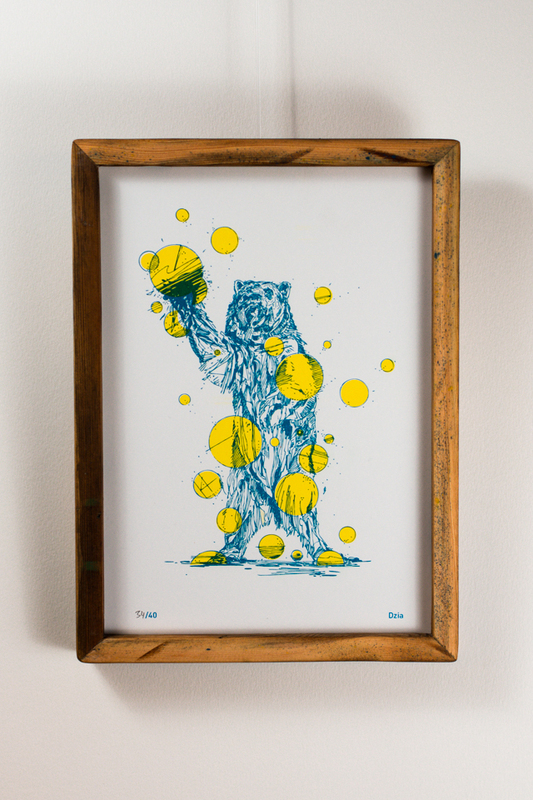 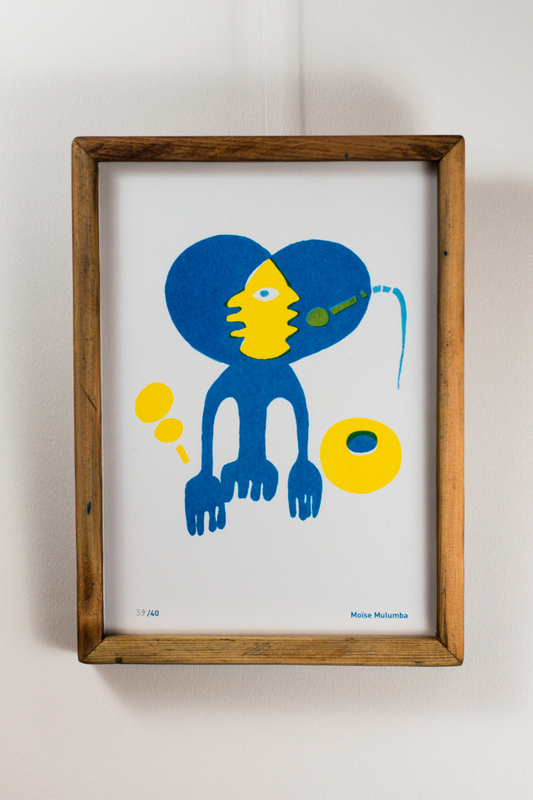 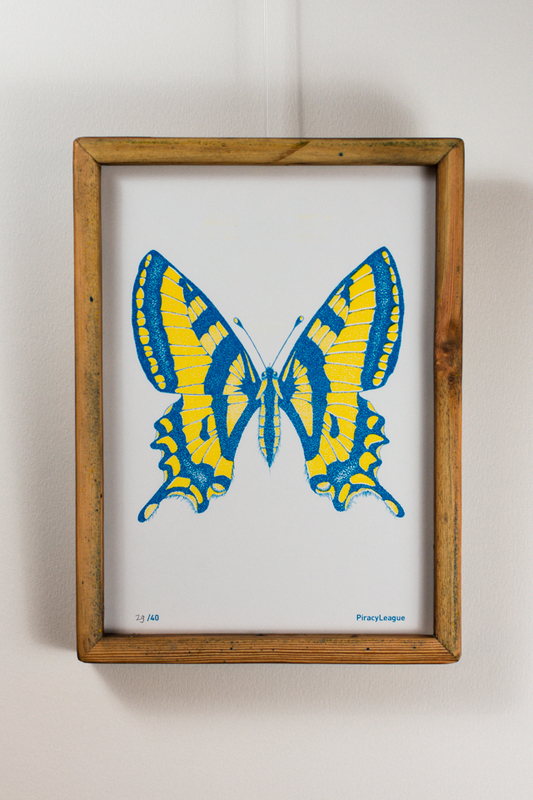 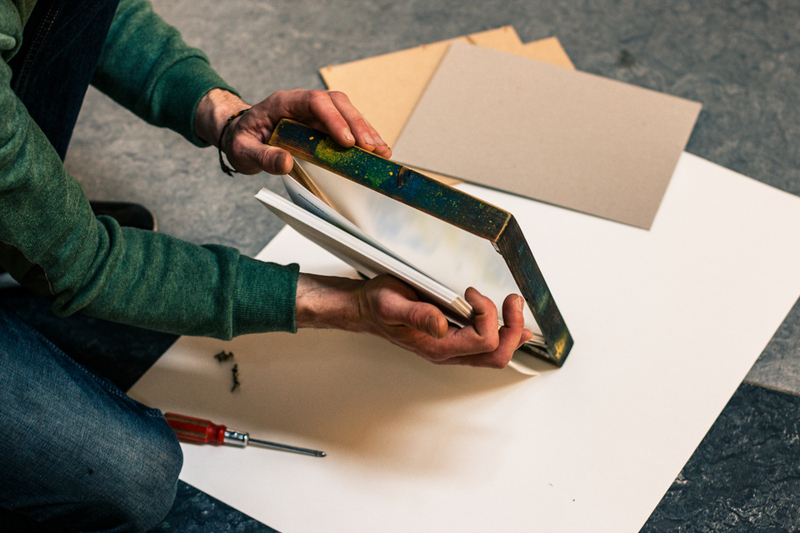 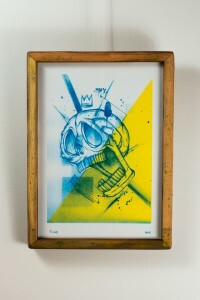 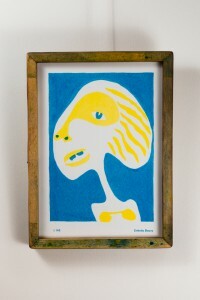 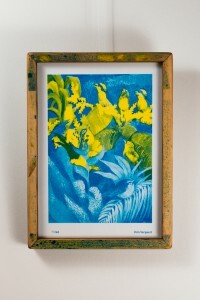 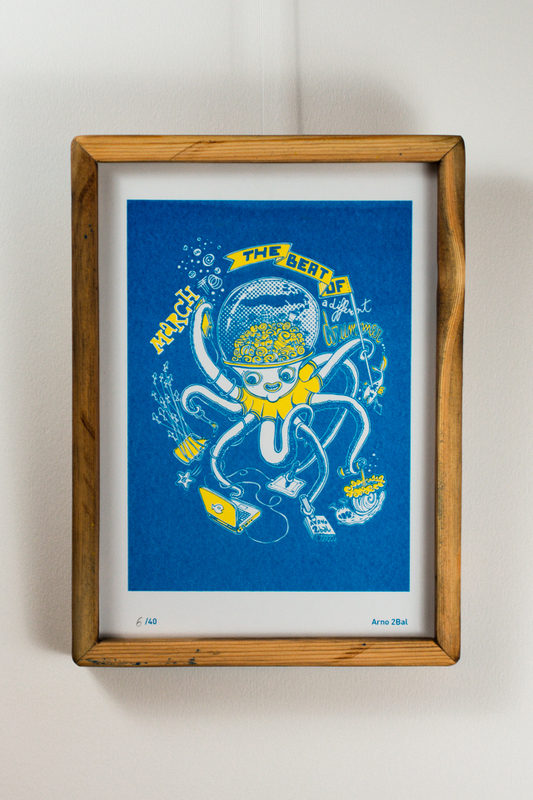 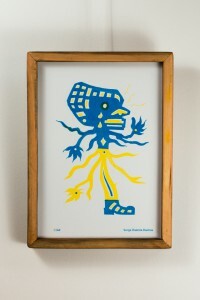 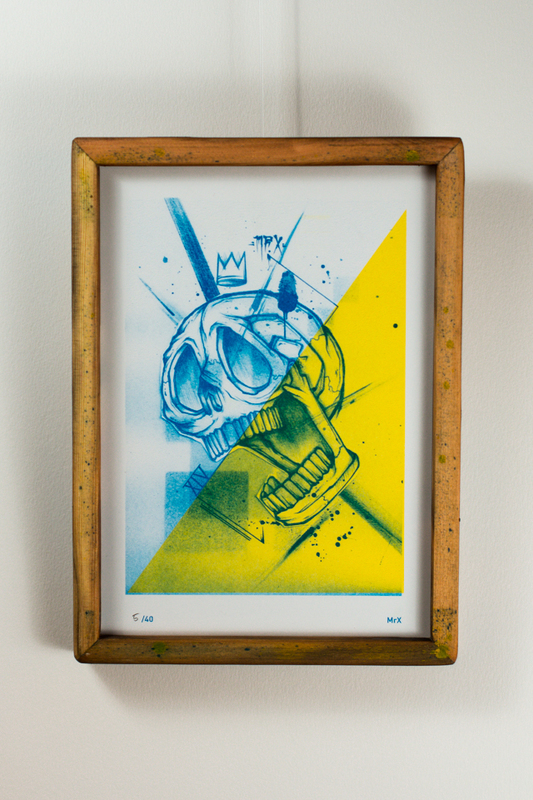 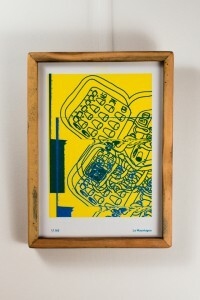 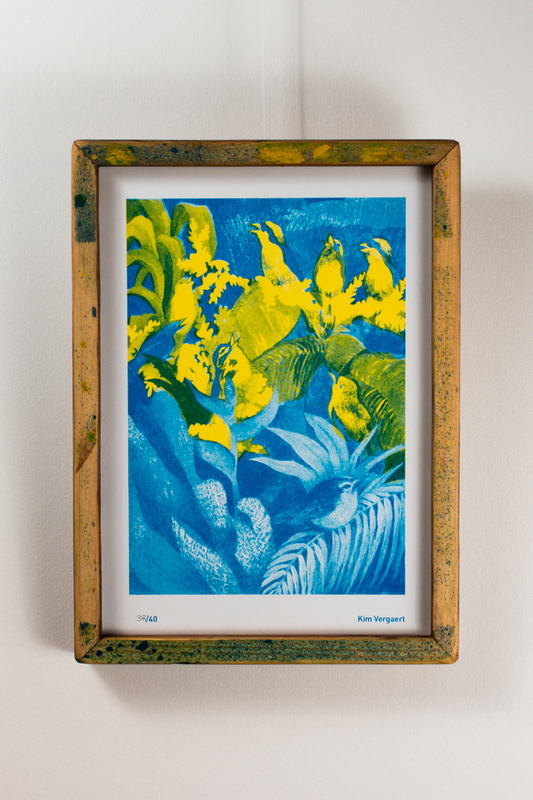 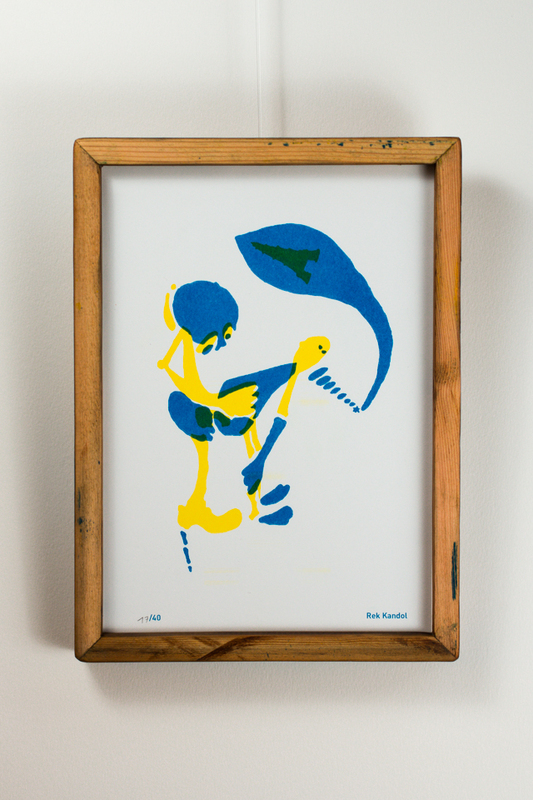 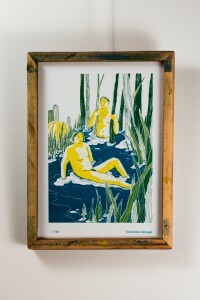 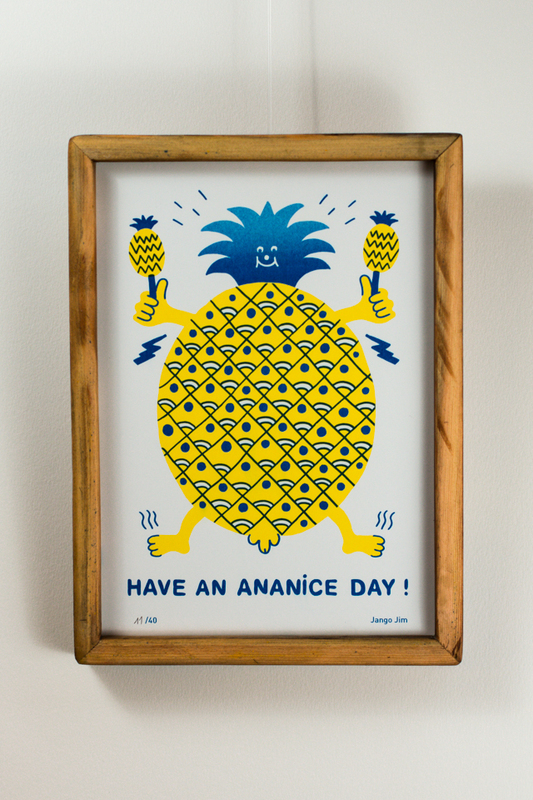 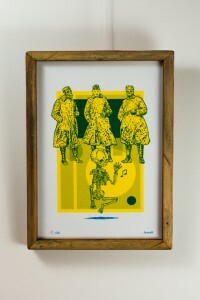 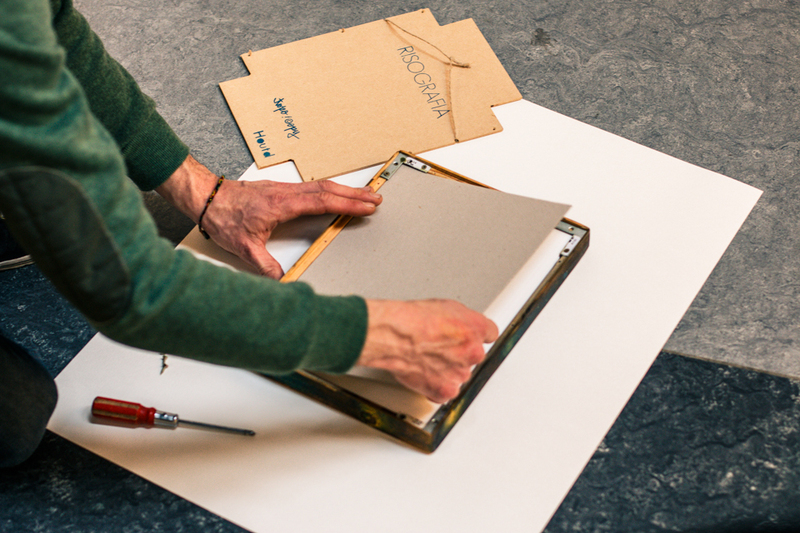 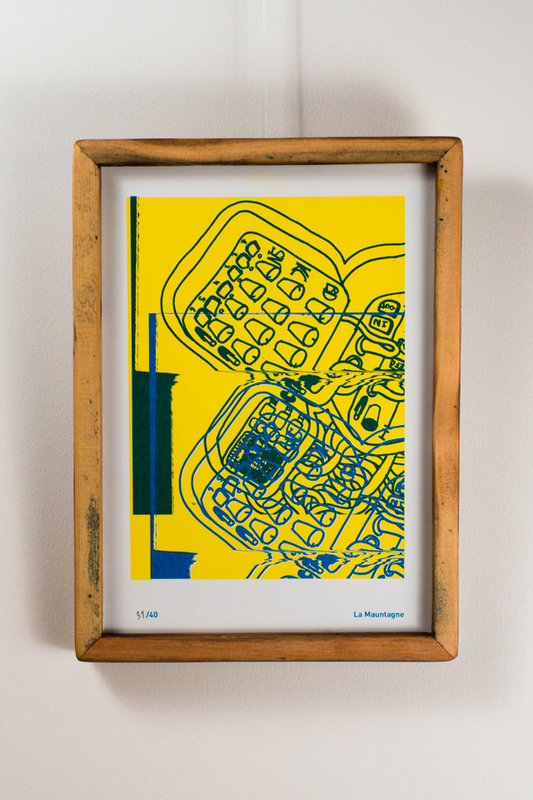 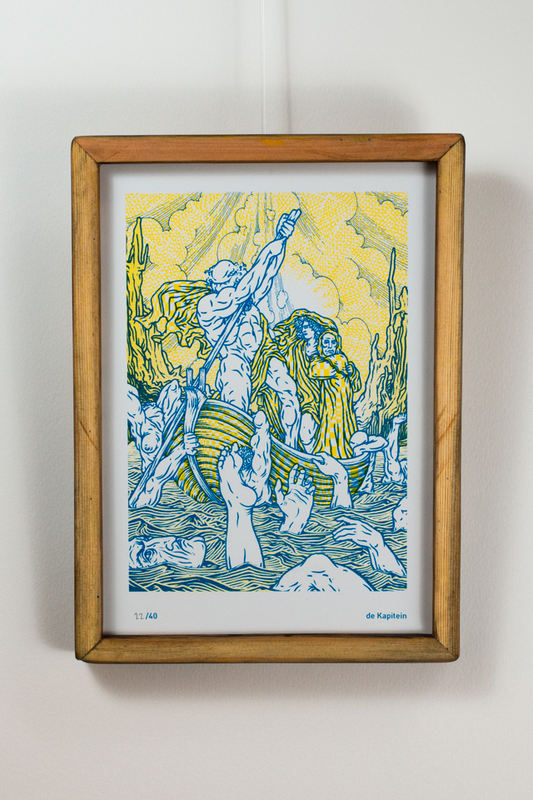 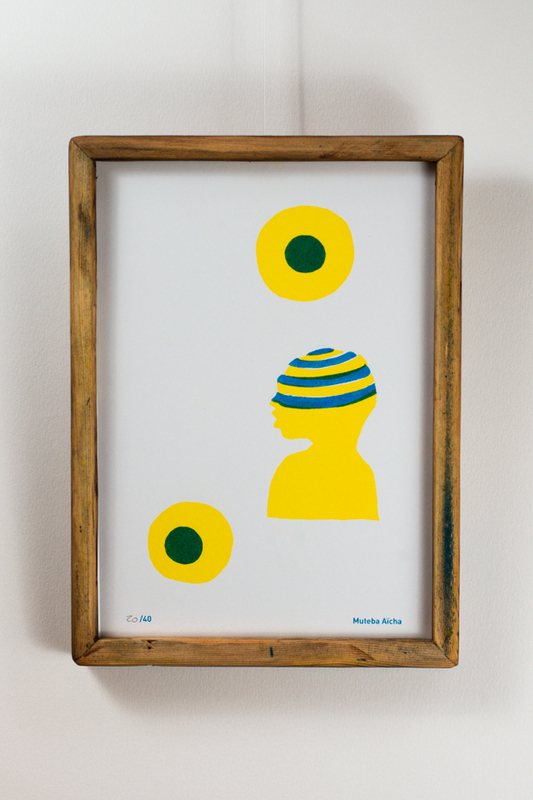 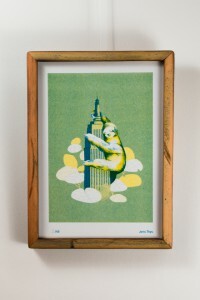 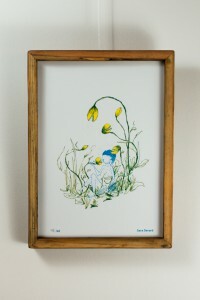 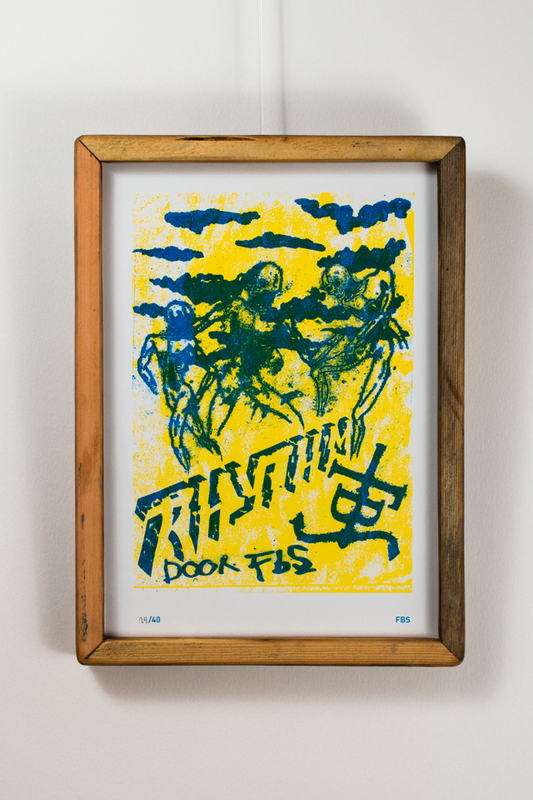 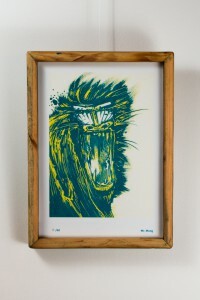 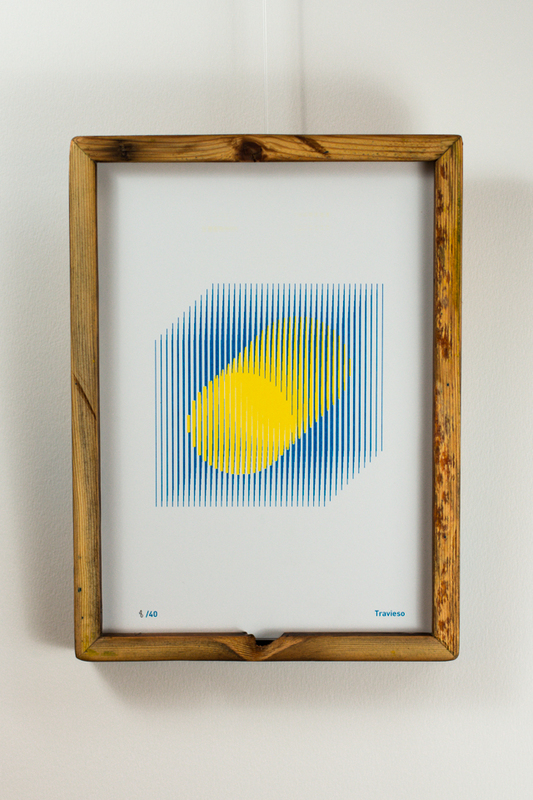 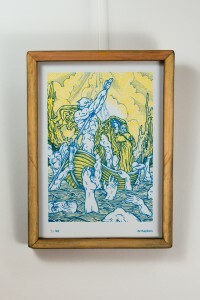 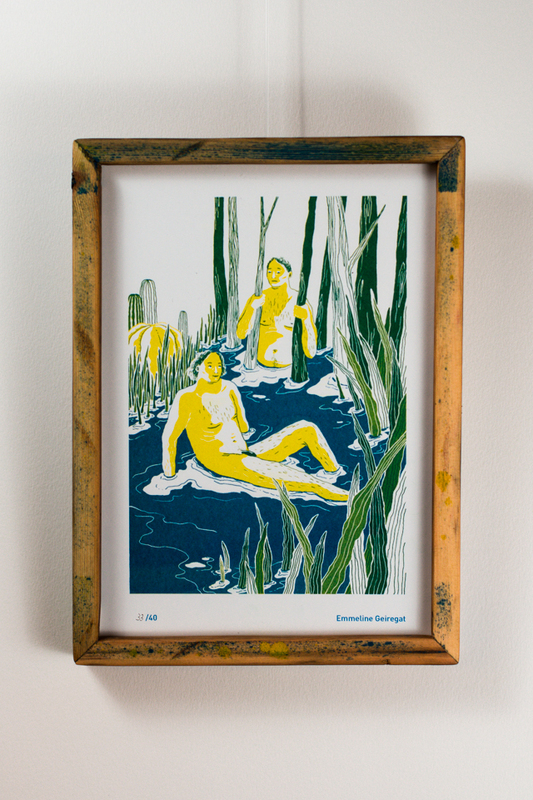 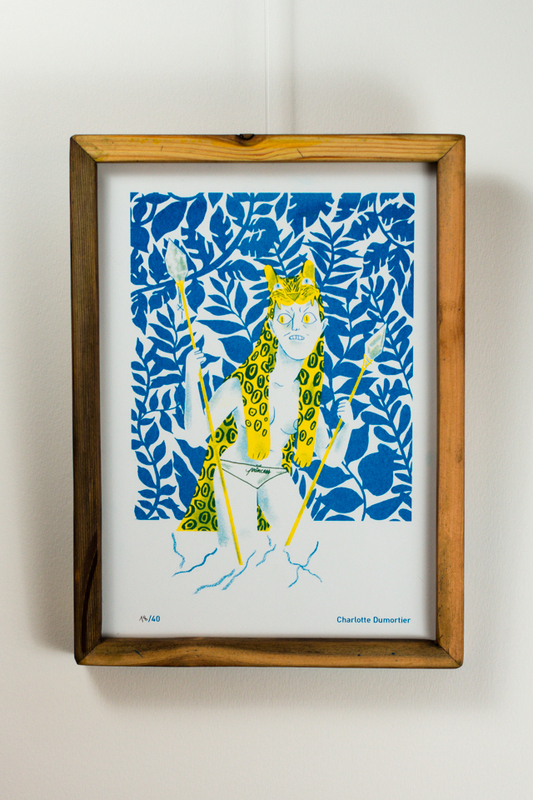 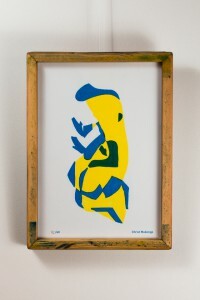 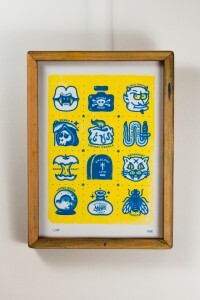 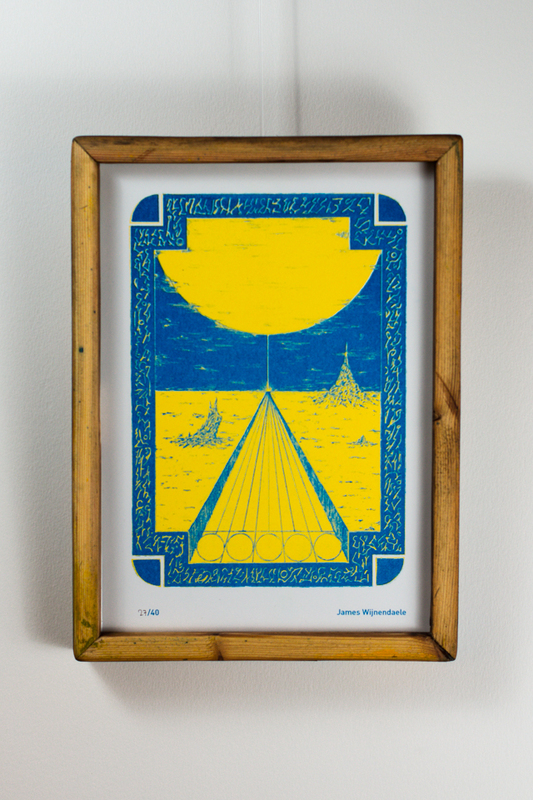 RISOGRAFIA # 3 consists of 40 handmade frames by HOUTD, each containing the entire set of prints. 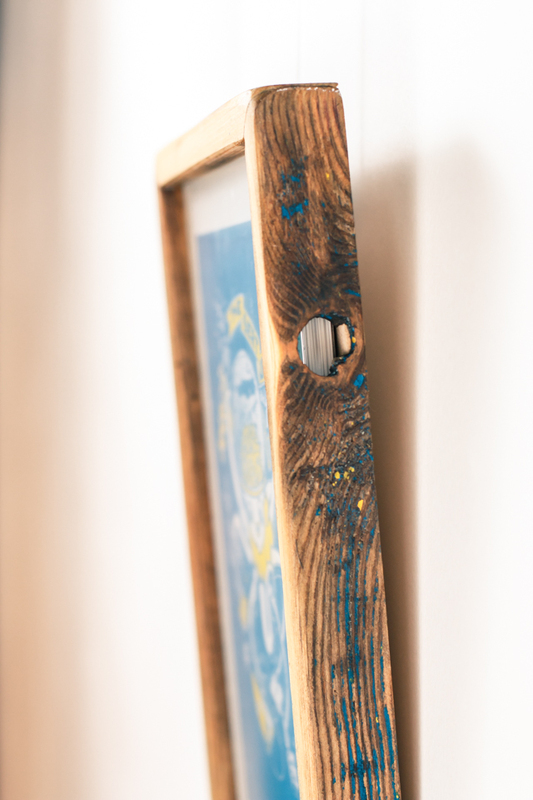 The system allows you to change the front print. 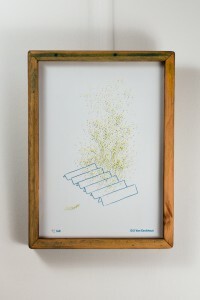 The title of this series is taken from Henry David Thoreau, an American author, poet, philosopher, polymath, abolitionist, naturalist, tax resister, development critic, surveyor, historian, and leading transcendentalist. To do things in one’s own way regardless of societal norms and conventional expectations. 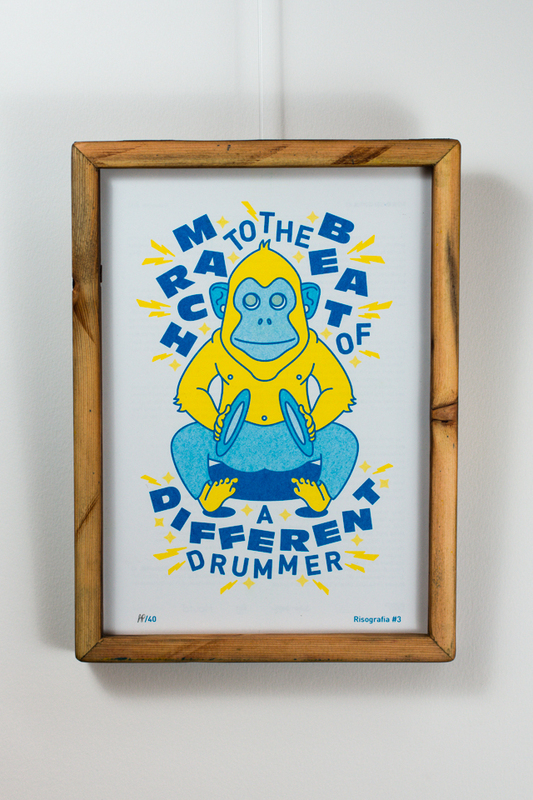 If a man does not keep pace with his companions, perhaps it is because he hears a different drummer. 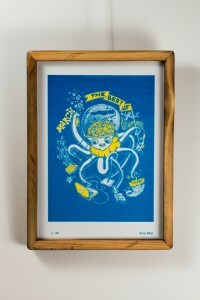 Let him step to the music which he hears, however measured or far away. 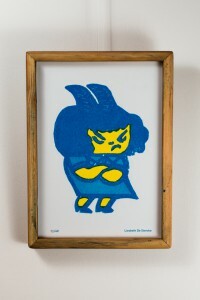 The series includes work of artists who mainly work and live in Belgium, Venezuela and Congo. Topo Copy co-founder Daniel who nowadays resides in his home country engaged Venezuelan artists and our friends from Kapow organised a 2 day workshop in Kinshasa in collaboration with Collectif sadi to engage artists from Académie des Beaux-Arts in Kinshasa. 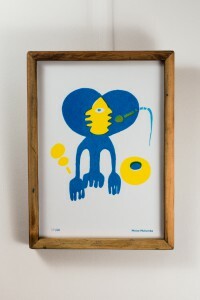 As Topo Copy has it’s home base in Ghent (BE), we made sure that the Belgian artists are well represented. 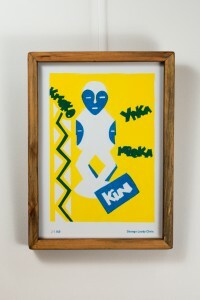 Kelly Vermeiren (Be), Dzia (BE), Kim Vergaert (BE), Dieter Durinck (BE), La Mauntagne (BE), Kezy Willys (CG), Moïse Mulumba (CG), Spiritus Bogonda (CG), Maïté (BE), Rek kandol (CG), MrX (BE), FBS (BE), Mr.Mong (BE), CAE (VE-MX), Jango Jim (BE), Travieso (VZ), Farazonia (BE), Charlotte Dumortier (BE), Liesbeth De Stercke (BE), Corbin Mahieu (BE), Sam Scarpulla (BE), El Topo (VE-BE), Christ Mukenge (CG), Zoltan Kunckel (VZ-HU-DE), Emmeline Geiregat (BE), James Wijnendaele (BE), Serge Diakota Diamas (CG), Muteba Aïcha (CG), Enkobo Bouvy (CG), de Kapitein (BE), Gosette Lubondo (CG), DE1989 (VZ-USA), PiracyLeague (BE), Sara Gerard (BE), Gill Van Eeckhout (BE), Arno 2Bal (BE), JesseR (BE), Joris Thys (BE), Burner Wong (VZ), Shongo Loody Chris (CG).